Please help us out by voting! If you are on Facebook, please share this with your friends by clicking the “recommend” icon up top! 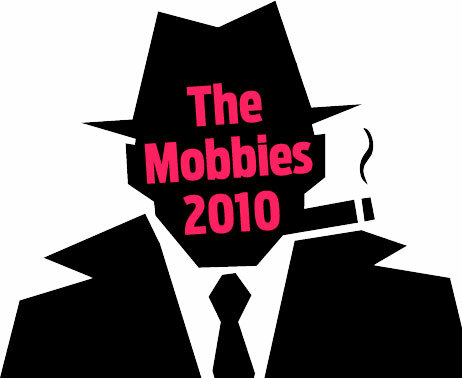 Eye On Annapolis has been nominated for The Mobbies 2010 competition–a ten-day competition where you can vote for “Maryland’s Outstanding Blogs.” We are up for the best Neighborhood Blog, along with a number of great neighborhood news and Main Street sites. If you aren’t a regular Eye On Annapolis reader, a sampling of our posts include our August coverage on the Bear-Bear shooting, our recent feature on the deceptive advertising by the No Slots At The Mall campaign, , and our continuing coverage of the recent spate of violence in our schools. Voting opened on November 2 and continues through through November 12, concluding with an awards bash at RA Sushi Restaurant Bar on November 16. You can vote once for every 24-hour period, so please vote early and vote often.